When the word “accommodation” is used by an eye specialist he means by it the changes which take place in the eye when it is focusing. That is, the eye is accommodating itself to the distance of the object at which it is looking. Just what muscular changes occur in the eye during the act of accommodation has been a subject of most fascinating interest for centuries. There have been different theories as to how this is accomplished. Some supposed a change in the position of the lens. Another theory was that the eyeball was lengthened. That idea would imply that a change had been made in the horizontal inside length of the eye. Such a change would increase the distance between the lens and the most sensitive part of the retina, at the rear of the eyeball. A change in the horizontal length of the eyeball could be accomplished only by the external muscle of the eye. Some believed accommodation was accomplished by the contraction of the pupil. There were those who discarded all of these theories, claiming that no change of focus took place. In 1614 a theory was advanced that a change of focus could be brought about by a change in the shape of the lens, but it was more than a century later before any investigation was begun to find some support for that supposition. The only investigations made were efforts to prove that an image of the flame of a candle seen on the front surface of the lens became smaller when the eye was accommodating. Since an image reflected from a convex surface becomes smaller in proportion to the increased convexity of the surface, if the image on the lens surface really did become smaller, it would imply that the surface of the lens did increase its convexity during accommodation. Although it was, never proved that the image did get smaller, this theory gradually came to be accepted in a general way as the solution of the problem. The man whose state ments are offered as the most plausible support for this claim was Dr. Helmholtz, who died in 1894. But Dr. Helmholtz never did make a positive assertion to that effect. He said, as did others who favored this theory, that they found the said tiny image usually so blurred that the form of the flame could not be definitely distinguished. Different expedients were adopted to assist the human eye in clearing up that obscure picture of the tiny image on the lens, but they all depended on the perception of the observing human eye. Dr. Helmholtz stated that he found nothing but the ciliary muscle to which he believed accommodation could be attributed. This tiny muscle has already been described. He, therefore, concluded that the changes which it seemed to him occurred in the curvature of the lens must be effected by the action of this muscle. He stated explicitly that his suggestion possessed only the character of probability. He offered no single established fact to support his guess. He simply ignored the only other possible factor in the eye which could accomplish accommodation, namely: the external muscles of the eye. The theory that accommodation is accomplished entirely by an increase in the convexity of the anterior surface of the lens is supported only by the claim that an image reflected on the surface of the lens seemed to become smaller when the eye is accommodating. Dr. Bates refused to accept this theory, and undertook to make a real test of the truth of it. To appreciate the significance of the factors in the problem it is necessary to remember what the actual question is. Rays passing through the lens are refracted. Shorter rays reflected from objects close to the eye, must either be bent in a more abrupt refraction, or must have a long enough focal distance from the front of the lens before they reach the retina, if they are to come to a focal point on the retina. Suppose that the lens be removed, and it is found that even in its absence the eye can accommodate. Would that not seem to prove that a change in the convexity of the lens is not the factor which determines the accommodating power of the eye? It is established, in the experience of practicing eye specialists, that frequently when the lens has been removed surgically, as a relief from cataract, the eye learns to accommodate without its lens. Corroborating proof of the truth of that statement is found in the records of the medical profession. Over a century ago a number of such cases were reported to the British Ophthalmological Society. In 1892 Prof. Forster of Breslau reported a series of twenty-two cases of apparent accommodation in eyes from which the lens had been removed surgically on account of cataracts. The subjects ranged in age from eleven to seventy-four years, and the younger ones had more accommodative power than the older ones. A year later Wainow of Moscow reported eleven similar cases, the subjects being from twelve to sixty years of age. In 1869 and 1870 respectively, Loring reported to the New York Ophthalmological Society and the American Ophthalmological Society the case of a young woman whose lens had been removed, and who, without any change in her glasses, read the twenty-foot line on the Snellen Test Chart at twenty feet, and also read diamond type at from five to twenty inches. The lenses she used would not help her lensless eye to accommodate. On October 8, 1894, a patient of Dr. A. E. Davis who appeared to accommodate perfectly after the lens in his eye had been removed, consented to appear before the New York Ophthalmological Society. Dr. Davis reported that the members of the society were divided in their opinions as to how the patient was able to accommodate for the near point with his distance glasses on; but the fact that he could see at this point without any change in his glasses was not, and could not, be disputed. This report, which gives a review of the whole subiect, was printed in Reports of the Manhattan Eye and Ear Hospital, January, 1895, and was entitled, Davis: Accommodation in the Lensless Eye. The patient was forty-two years old. Eight months after his lens had been removed the patient returned because he had a problem. He had discarded the reading glasses given him and read with the glasses given for distance only. This meant that he was accommodating, or focusing, with his lensless eye. The distance glasses would not focus to meet the near print. He wanted to be sure this practice would not strain his eye. Dr. Davis found that with his lenseless eye and the distance lens he could read the ten-foot line at twenty feet, and could also read fine print at from fourteen to eighteen inches. As this was his first experience with such a case, Dr. Davis presented it to the Ophthalmological Society. Four months later the patient lead improved his near vision—that is, he was accommodating better, and read diamond type at from eight to twenty-two and a half inches. There are other cases on record just as convincing. Impressed with this specific demonstration, Dr. Davis subjected the patient to various tests, and recorded some most significant observations. He made on that lensless eye, the same tests reported by Dr. Donders long years before, which had satisfied Dr. Donders that the lensless eye could not accommodate. The findings of Dr. Davis were so different from those reported by Dr. Donders that Dr. Davis decided the tests specified by Dr. Donders were wholly inadequate to decide the question at issue. During his experiments Dr. Davis found that the curve of the cornea, which is the covering on the front end of the eye, was changed and was moved forward a little. This would indicate that the eyeball had been made longer. These changes were demonstrated by the use of an ophthalmometer, which is an instrument for measuring the curvature of the cornea. He therefore felt himself bound to conclude that these changes must have been produced by the action of the external muscles of the eye. No other mechanism in the eyeball could do this. The above recorded objective proofs are commonly ignored, or some specious explanation is offered for them. It is stated by some that the shape of the eyeball cannot be changed and made longer. But it is admitted in standard text books that the external muscles of the eye may change its shape. It is established that astigmatism involves a change in the shape of the eyeball. In astigmatism the abnormal shape of the eye varies. Cases are on record of the voluntary production of astigmatism. In one case, a house surgeon in the Manhattan Eye and Ear Hospital in New York frequently increased the abnormal curvature of each of his eyes considerably, in the presence of a number of members of the staff of the hospital. Dr. Davis, who knew this house surgeon, concluded that the changes in his case were brought about mainly by the external muscles of the eye. The findings and tests given above, which are reported by many competent observers of good professional standing, are all independent of any statement by Dr. Bates. Unless they are disproved, they demonstrate that the lens is not the factor in the eye which accomplishes accommodation. These findings, on the other hand, offer no proof that the external muscles of the eye do not change the shape of the eyeball. Those muscles are the only other factor which could accom modate the eye. If those muscles can make the eyeball long- er, lengthening the focal distance between the anterior surface of the lens and the surface of the retina, no other answer is possible–the external eye muscles accomplish accommodation. That was the conclusion forced upon Dr. Bates, and instead of simply denying the possibility of such a function, he undertook the only known experiments to find out the truth. This discovery of Dr. Bates explains why eyes can ac- commodate when the lens of the eye has been removed. It does not conflict with what is known of the structure and function`of the tendon and the tiny ciliary muscle that sustain or modify the convexity of the lens. 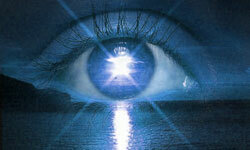 His discovery explains many apparent discrepancies in the theories which are held, or discussed, by eye specialists. It shows why and how it is possible to prevent and to cure the various abnormal function conditions which are such a distressing problem to the men whose work is to care for and to help the increasing number of victims of defective vision. It is established that the normal eye at rest is adjusted only for rays coming from a distance, not for rays reflected from objects nearby. Rays from nearby objects would come to a focus behind the retina. But the myopic eye, that is the nearsighted eye, does constantly focus the rays reflected from near objects. It is accepted that the myopic eye is always longer horizontally that the normal eye at rest, when it is not focused — that is, accommodated — for nearby objects. When, however, an object is brought nearer to the normal eye, which is not nearsighted, not accommodating, there must be an adjustment made to perfectly meet and focus upon the retina those nearby rays which are more divergent as they reach the lens. Ophthalmologists have noted that a change is felt to take place in the normal eye when the adjustment just described is being made. They accept this as proof that an effort is being made by the eye involving a sufficient muscular contraction to be appreciated as a sensation. Also, it has been noted that when the object is moved farther from the eye, there is a sensation of relaxation, and it is concluded that this denotes a relaxation of the contracted muscle. It is implied that these sensations of contraction and relaxation are produced by the action of the tiny ciliary muscle. The idea that such sensation would be caused by the action of the incomparably larger external eye muscles does not seem to have been considered at all. This seems the more remarkable since it is established that the eye is longer when nearsighted, and such a change in shape would necessitate the contraction of the external muscles. There is a double indication in this muscular feeling. First. such a sensation might reasonably be attributed to the contraction of the two oblique muscles on the outside of the eye. Second, it cannot be questioned that the nearsighted eyes vary in the degree of nearsightedness, and even quite frequently cease to be nearsighted. Dr. Bates claims that this variability is caused by the contraction and relaxation of the oblique muscles. The theory offered by Dr. Helmholtz was that the tiny cili- ary muscle served to diminish the tension of the tendon which held the lens in a flattened oval shape. This would result in the lens, by its own elasticity, assuming a more curved shape. That is the explanation attributed to him in a standard textbook. But in the same section of the book it is pointed out that Dr. Tscherning, who agrees that accommodation is accomplished by an increase in the convexity of the anterior surface of the lens, disagrees with Dr. Helmholtz as to how this convexity is produced. He claims, in opposition to Helmholtz, that contraction of the ciliary muscle causes a tightening and not a relaxing, of the tendinous fibres of the zonula of zinn, and that the bulging of the lens in accommodation is produced by an active compression instead of by a passive dilatation. The text book also points out carefully that the theory of the lens being the factor which accommodates does not harmonize with other accepted theories in optics. The book cites the theory of presbyopia as one which does not harmonize. Presbyopia is a supposed condition in which the lens begins to harden when one is forty years or older. A lens too hard to change its shape could not accomplish the exquisite lightning-like changes in shape necessitated by the theory of Dr. Helmholtz. The statement in the text-book is a reminder that, according to the theory of presbyopia, in later life the lens is hardened, and could not contract and expand. If the lens does so harden, and cannot expand and contract, this would render worthless the theory of Dr. Helmholtz and Dr. Tscherning. The text-book right there apparently points out that the theory of accommodation being accomplished by the changing in shape of the lens cannot be true. That text-book is a standard. Its statement is very plain. There is sufficient evidence, in plain sight and not to be denied, that many eyes continue to accommodate even when very old. In a case of my own, a man of eighty-five had worn glasses constantly for over forty years, and was both nearsighted and astigmatic. He was able in a short time to read Snellen Test Chart at the proper distances, and to read any ordinary print or writing at the customary distance from his eyes. He did that in the presence of others besides his family, and never wore his glasses during the two years before his death. In considering the same mechanism, these two men of genius conceived two contradictory interpretations of the way the mechanism worked. Suppose we try to imagine what is involved. To meet the conditions of their propositions, the curvature of the lens must change quicker than thought itself, constantly, with a perfect infinitesimal precision. It is not easy to imagine a fluid mass doing that. To conform to the theory of Dr. Helmholtz, the ciliary muscle would have to pull on the tension of the tendon and loosen it. This would permit the capsule holding the lens in shape to relax, and the lens could then push itself into a more spherical shape, and present instantly the exact curvature required, and with the moving fluid mass at rest. According to Dr. Tscherning, instead of a softening capsule, and a released fluid changing its shape, there would be a tightening of the capsule, producing an active compression of the lens, which, however, instead of squeezing its fluid elastic contents flatter, would somehow force the contents into a more spherical shape. Which is the more reasonable of the two guesses? Before one makes his own guess on that question, memory puts on the scales the confusing recollection that the medical record is full of instances, not to he denied, in which the eye has accommodated after the lens has been removed. In a standard medical book on the eye, we are reminded that the eye has been justly likened to the camera. An explanation is then offered to show why the eye is like a camera. In that comparison it is explained that the camera has opaque sides, a diaphragm in the front of the lens to keep out the peripheral rays, and an adjusting mechanism to accomplish the necessary process of focusing the rays of light so they will meet properly on the film. We are told that the eye also has opaque sides, and an adjustable diaphragm, and that the lens of the eye is itself the adjusting mechanism to secure the proper focus for the retina. In reality the human eye is not like a camera, but a camera is like the human eye inasmuch as its film records images chemically. The mechanism of the camera is governed by the same natural laws as are exemplified in the functions of the eye. But the human eye has a range of vision which is incomparably greater than the powers of the camera. Those who devised the camera, (as well as the telescope and the microscope,) found that the way to focus the refracted rays of light correctly upon the camera film was to arrange an adjusting mechanism that would move the lens back and forth, so as to place it at the proper distance from the film. In other words, the only changes that take place through the adjusting mechanism of a camera are changes in the focal distance between the lens and the film. Eons before this was discovered the human eye was focusing the rays of light upon the retina in just that way. In the analogy referred to above it is stated that in the eye the lens itself is the adjusting mechanism which focuses, or accommodates-	If that were true, it would destroy the analogy. The lens in a camera is not itself an adjusting mechanism. It is a constant factor. It does not accommodate. Its only function is to refract the rays as they are received, and the result depends only upon its position in relation to the recording film. The lens in a camera is a piece of glass, and cannot change its shape. The changes which take place in a camera accomplish an increase or decrease in the distance between the lens and the film. In that it imitates the human eyeball. The text-books explain that when the human eye is nearsighted, which means that it is focused so as to see nearby objects, it is longer than its normal resting condition, and the retina is farther from the lens. Those who devised the camera found it necessary to arrange for just such a change in its length. In taking a photograph, when the object is near, the lens is pulled farther from the film. Whenever the human eye accommodates so as to be focused properly for nearby objects, it accomplishes the accommodation by lengthening the eye horizontally, and increasing the distance between the lens and the retina. The eyeball, in changing the distance between the lens and the retina, changes its shape. Its walls are curved. When the rear end recedes from the lens, the curvature of the walls changes as the ball is made longer horizontally. The lens is placed a short distance back from the inner side of the front end. Its substance is not an unchanging solid. Its capsule, the flexible envelope which holds the contents in shape, is fastened to the curved inner sides of the eyeball by the ten don which controls its shape. Any change in the shape of those walls may modify the convexity of the anterior surface of the lens. This relationship makes it necessary for the exact shape of the lens to perfectly conform to any change made in the curvature of the anterior end of the eyeball. This is necessary because the outer covering there, the cornea, is also a refracting medium, and the lens must conform to any changes that may occur in the refraction which takes place in the cornea. It is necessary also for the convexity of the lens to conform perfectly to whatever changes occur in its relationship with the retina consequent upon the changes in the shape of the eyeball. The same impulse or nerve control which issues from the visual center in the brain harmonizes the co-operation of the external muscles and the ciliary muscle of the lens. The lens serves as an auxiliary adjustment, secondary and compensatory to whatever changes are produced by the action of the two external oblique muscles of the eye. The explanation offered here accounts for the varying and unsatisfactory findings of Dr. Helmholtz. He reported that the images he saw were varied and blurred and so inconstant that he was puzzled, and was not willing to make a positive statement about them. This illustrates his meticulous honesty. The text-book already quoted, points out that his hypothesis must have been wrong. The explanation offered here also accounts for the scientific findings reported by Dr. Bates. He secured photographs of the tiny images formed on the lens by a powerful electric light delivered by a series of adjustments through a constant aperture. These tiny images varied under external conditions which were exactly the same. The reasons are to be found in the varying slight changes taking place in the convexity of the surface of the lens, consequent upon different degrees of change taking place in the shape of the eyeball. The import of these facts, in their relation to the Bates method for treatment of difficult and abnormal conduct in the mechanism of vision, is that in moat cases of astigmatism and many cases of nearsightedness, the principal fault is the abnormal action of the external eye muscles. In astigmatism the shape of the eye is changed from its natural form of a perfect sphere. The deformity is so different in each case, and so variable from time to time, that, apparently, the changes must be caused by the varying tension of the muscles which are attached to the walls of the eyeball, and bring pressure upon those walls when they contract. Those who are nearsighted experience the same difference in the degree of trouble. Their power of vision varies constantly. In many cases the defect disappears spontaneously, even after being present many years. No other theory has been offered to explain this variable conduct. This explanation of Dr. Bates makes clear why the changes occur. His claim that the eye sees perfectly when it is perfectly relaxed covers the nerve controlled action of the muscles, and the tension in the visual centers. He insists that in order to have a normal relaxation in the eye muscles there must be first a normal condition, free from tension, in the centers in the brain. Such a condition returns spontaneously when disturbed vision becomes normal without any outside help. That is the explanation of those cases which get well. Obviously, then, it is possible to influence those factors which control such changes. During forty years of successful work Dr. Bates proved the truth of this simple law.